The US State Department has allocated more than a billion dollars in contracts to the security firm Blackwater and its later manifestations since a top official for the company threatened a government investigator’s life in 2007. The Huffington Post reported that the notorious security contractor Blackwater, its subsequent incarnations, and its subsidiaries have received more than $1.3 billion since the fall of 2007 for training and operations the world over. In August 2007, State Department investigator Jean C. Richter said a Blackwater project manager, Daniel Carroll, told Richter“that he could kill me at that very moment and no one could or would do anything about it as we were in Iraq,” where the investigator was observing - and criticizing - the company’s operations. The New York Times reported the details of the threat last month. Richter and his partner in the probe were later asked by officials at the American embassy in Baghdad to leave. 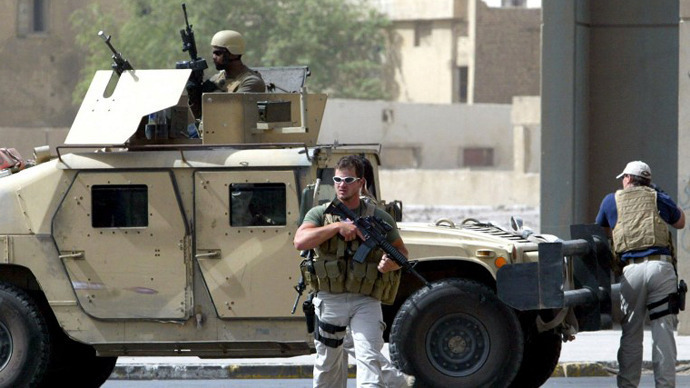 The next month, Blackwater guards infamously shot and killed 17 Iraqi civilians at Nisour Square. The incident sparked outrage with American presence in Iraq among the local population. The US is currently trying to prosecute four of the five guards involved in the incident after a first failed attempt to do it in 2009. Despite the threat to a government investigator and the Nisour Square killings, the security firm continued to receive crucial, lucrative government contracts. Since the date of the threat - August 21, 2007 - and the end of the next month, the State Department awarded Blackwater over $269 million, according to government spending records analyzed by the Huffington Post, for department services in Iraq, Afghanistan, China, and the US. Some of the more major of those awards were approved after the Nisour Square shooting, though they were associated with agreements signed prior to the incident. Overall, the State Department has given the firm and its associated entities more than $1.3 billion since the fall of 2007. Blackwater and its subsidiaries have changed official names and management several times since 2007, partly based on efforts to distance the firm from the negative attention it received since the company’s notorious conduct in Iraq. 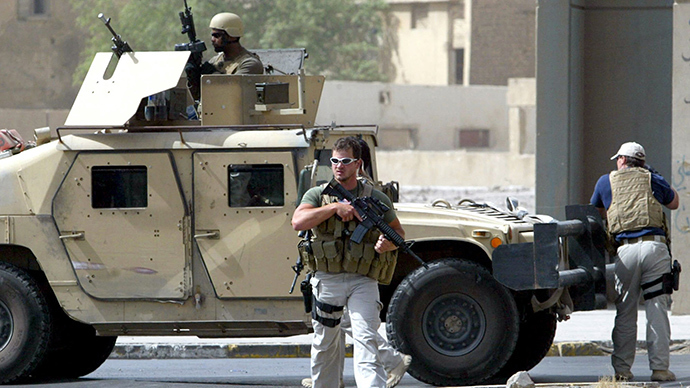 "In the years following the events of 2007, we reviewed our practices of managing contractors and made improvements to increase oversight and ensure that operational control remains with direct-hire State Department employees," a State Department spokesman said about Blackwater’s continued good graces with department. "Though we must always ensure that competitive contracts remain fair and open, the safety of our personnel is the highest priority, and we always take into account the past performance and abilities of each contractor." How much the company actually received and what the money was spent on is unknown, as federal government records only indicate what funds an agency like the State Department set aside for the firm. Additionally, the State Department has revoked nearly $55 million allocated to the firm since August 2007. More than half a billion dollars has been set aside for the firm and its associated entities since President Barack Obama took office in 2009, despite past criticism of the company from Obama’s first secretary of State, Hillary Clinton. During the 2008 presidential primary campaign against Obama, then-Senator Clinton co-sponsored a bill to ban Blackwater from Iraq. More than $300 million of that total half billion-plus was awarded before Blackwater was sold by founder Erik Prince in 2010. During Clinton’s time at State, the firm was tapped to train police officers across Africa, including Nigeria, Djibouti, Kenya, Senegal, and Tunisia. The company has also continued to receive contracts from the Defense Department and US intelligence agencies, according to ThinkProgress. Since Prince sold the company, the State Department has awarded Blackwater’s current incarnation, Academi, just over $500 million, as opposed to $784 million in the three years prior to his sale of the company. Academi spokeswoman Callie Wang declined to comment on the company’s current contracts. Since 2010, the firm has merged with security contracting rival Triple Canopy. Experts told the Huffington Post that major firms continue to win contracts based on capability, reliability, and institutional privilege. 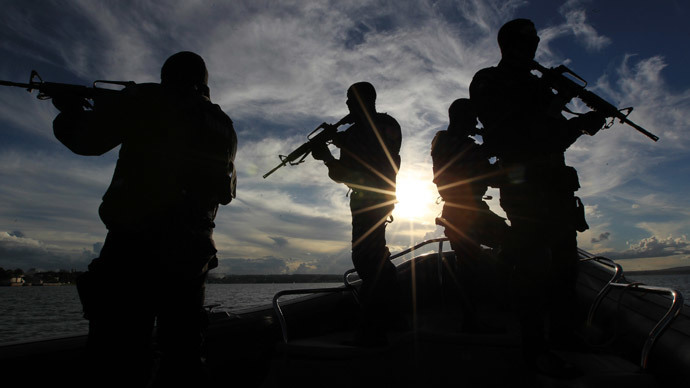 "Blackwater likes to point to their supposedly perfect track record in terms of guarding personnel," said Neil Gordon, of the Project on Government Oversight. "But of course there are much larger issues that have to be taken into account -- their effect on the mission and on international reputation." 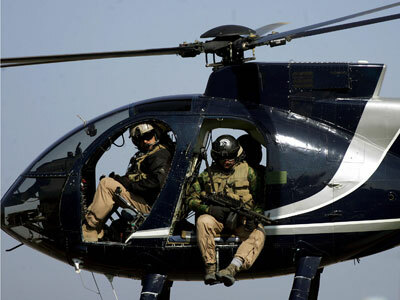 Blackwater’s continued relationship with the US government is also based on “bureaucratic inertia,” Gordon said, to changing contractors in the midst of crucial operations. The firm was long in an “umbrella contract” with Triple Canopy and DynCorp to protect State Department diplomats. This kind of contract helped ensure that the companies would earn continued government awards. The State Department said the company’s “qualifications” are consistently monitored as part of the contracting bid process. "When dealing with an umbrella contract like a World Wide Protective Services (WPPS) task order that had several contractors, federal law requires that all such contractors be given a fair opportunity to compete for task orders issued under that contract," a State Department spokesman said. "The qualifications and ability of any contractor to perform on that task order will, of course, be assessed as part of the bidding process."